Situated in the convenient and beautiful Bear Creek Crossing Resort, Splash n More is a comfortable and fun 3-bedroom, 3-bathroom, 2018-built cabin with room for up to 12 guests — great for fun family vacations, weekends with a few couples, or a small group getaway. 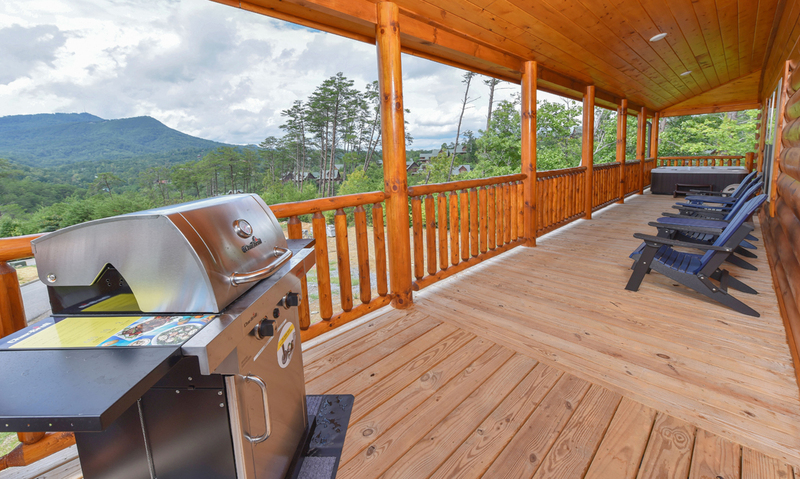 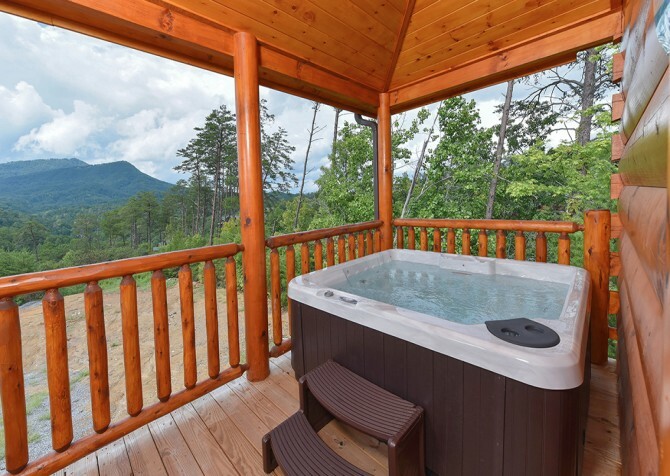 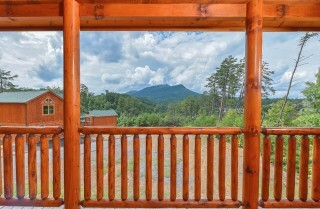 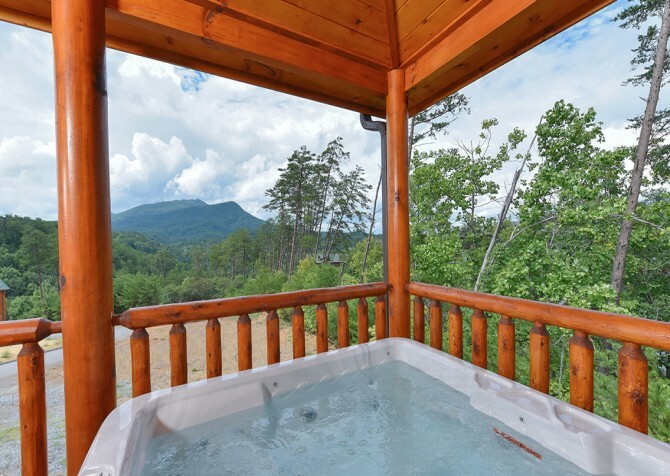 Equipped with the conveniences of home, amenities that will keep everyone having fun, and relaxing and comfortable spaces, this Pigeon Forge treat has it all for a great vacation in the Great Smoky Mountains! 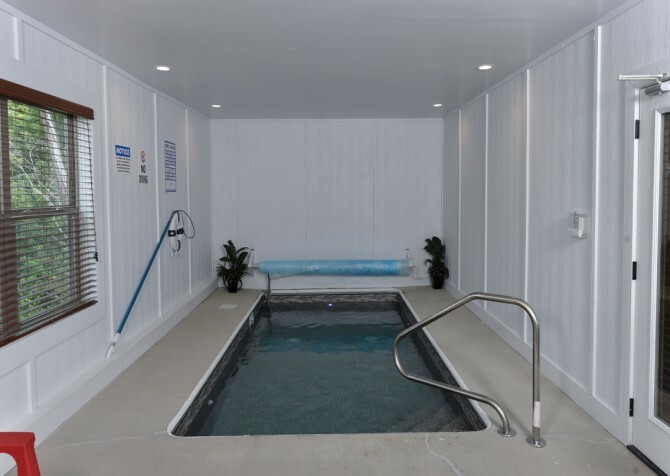 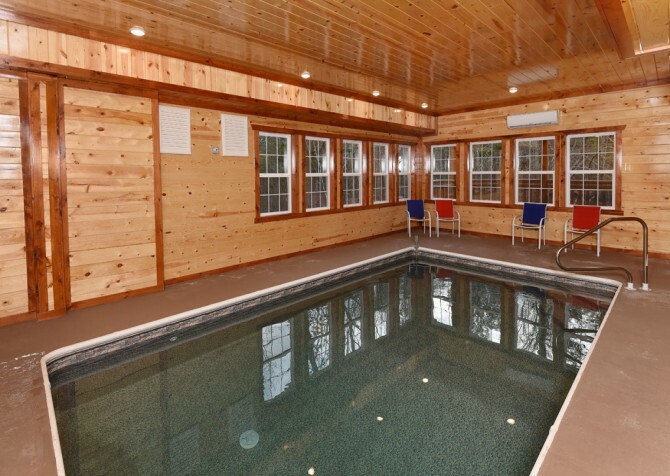 Start with the private indoor pool in your cabin! 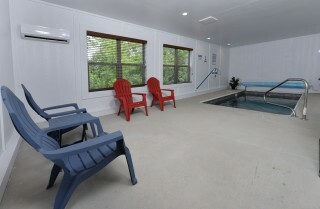 Rain or shine, summer or winter, enjoy relaxing and splashing around with the kids in your own swimming pool! Want to get out of the cabin? 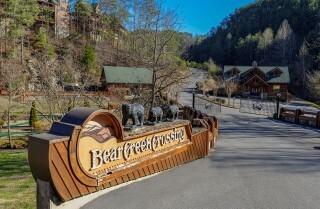 You’ll also have community pool access — both indoor and outdoor — when you stay in Bear Creek Crossing Resort. 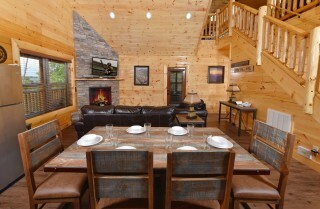 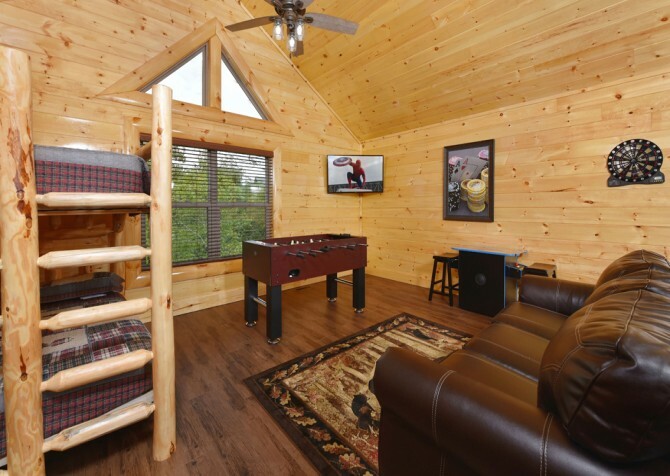 Of course, the cabin boasts even more fun, including a foosball table, air hockey table, and arcade games! 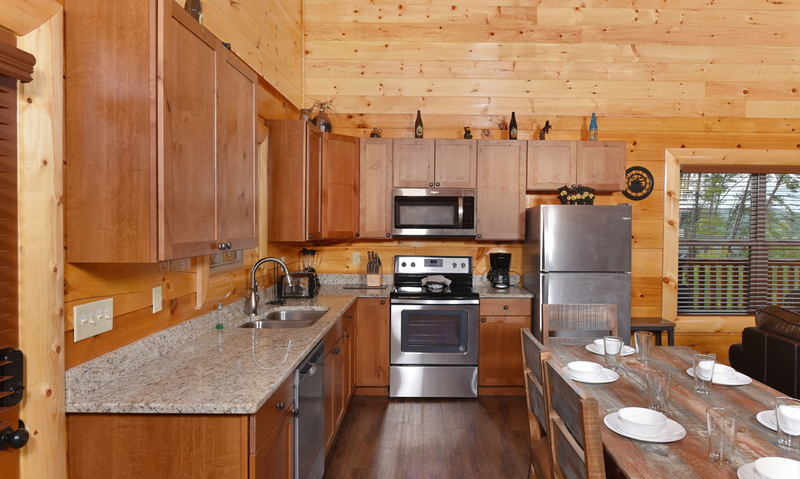 When everyone is hungry, the fully equipped kitchen is convenient for making homemade meals or having a place to store leftovers from downtown. 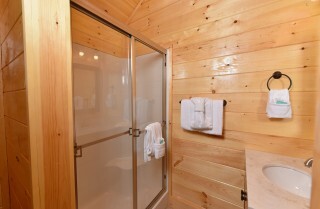 After hikes, toss clothes in the cabin’s washer/dryer and freshen up in the 3 bathrooms here. 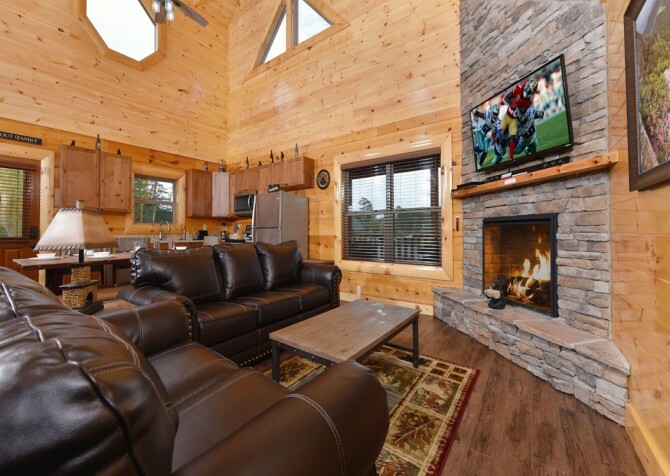 The electric fireplace in the living room is a cozy place to unwind and watch movies with the DVD player, and each of the bedrooms features its own flatscreen TV. 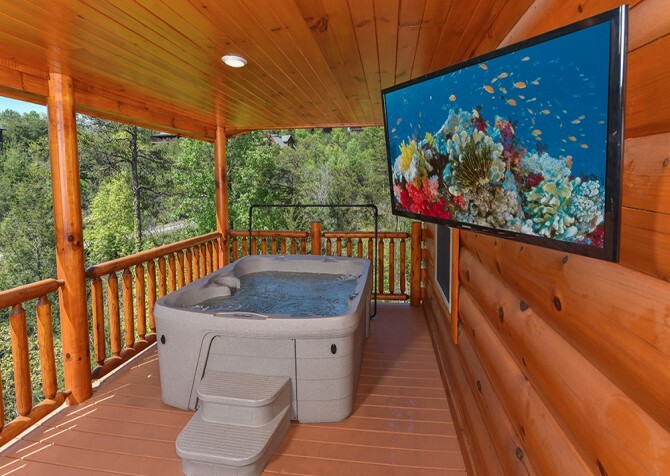 Soothe tired muscles in the outdoor hot tub (with a nearby TV) before heading to bed, and be sure to fire up the grill for a cookout on a nice night! 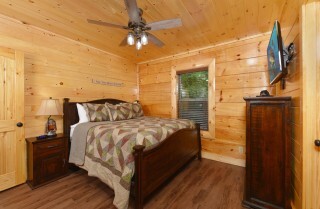 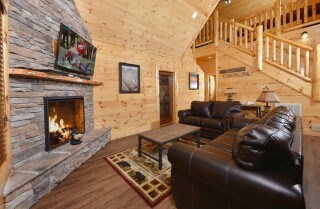 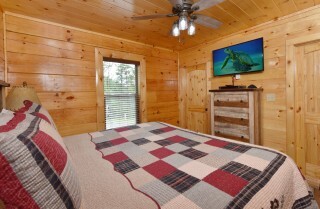 Each space was designed with comfort and fun in mind at Splash n More — your home suite home in the Smokies! 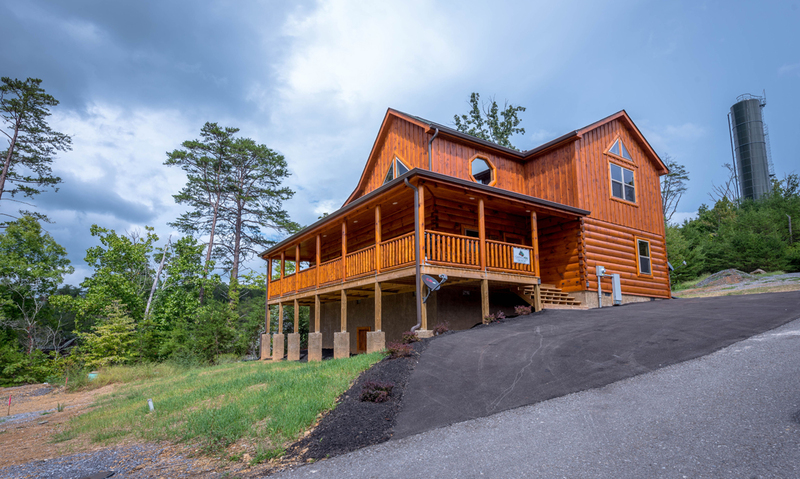 High ceilings, an open concept, hardwood floors, leather sofas, a stacked-stone fireplace, and mountain views through a large window plus sky views above welcome you into the living space at Splash n More. 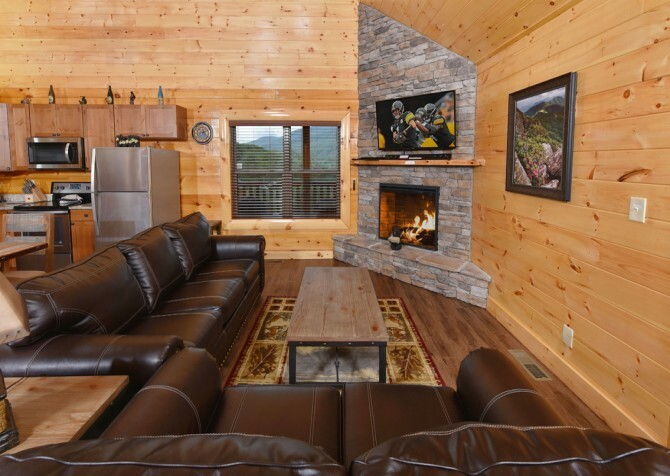 Sit down for a rest after your travels, let the kiddos explore the home, and soak in the gorgeous Smoky Mountain scenery. 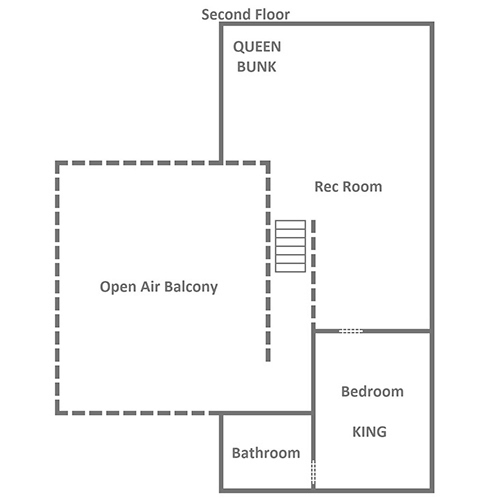 Feeling up for a family flick? Pile snacks and drinks on the coffee table, flip on the big screen TV, pop in a DVD, and press play! 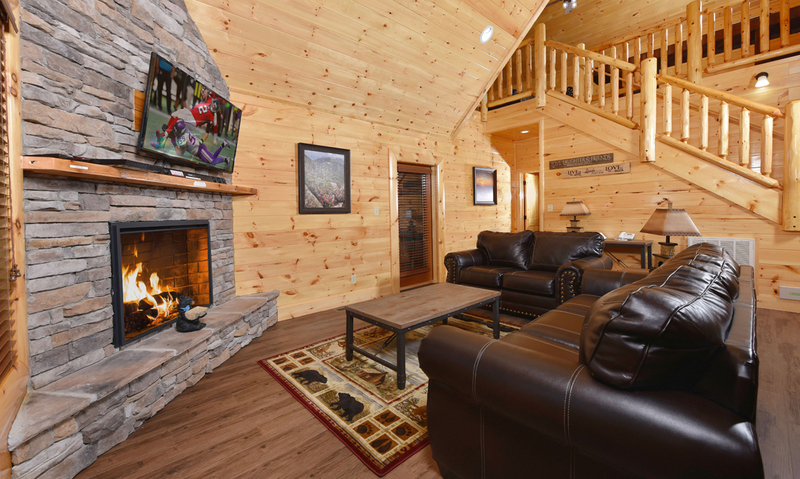 When evening settles in, switch on the electric heated fireplace to set the mountain mood. Add a few marshmallow-topped mugs of cocoa, your closest friend, and funny stories, and you’ll have a night to treasure forever. Just off the living area awaits the spacious, open kitchen, fully equipped with all the cooking utensils, stainless-steel appliances, counter space, cabinetry, and dinnerware you’ll need to prepare homemade meals. 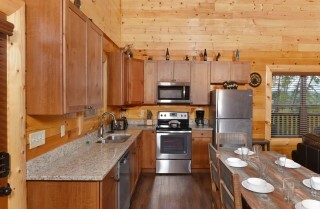 Grab fresh ingredients from the refrigerator, stir the soup pot on the stove, and bake fresh rolls in the oven for dinner. And when movie night rolls around, the microwave will become your new best friend, keeping waves of buttery popcorn close at hand. Plus, this space is perfect for storing scrumptious leftovers from local restaurants, delectable treats from all the sweets shops, and midnight snacks aplenty. 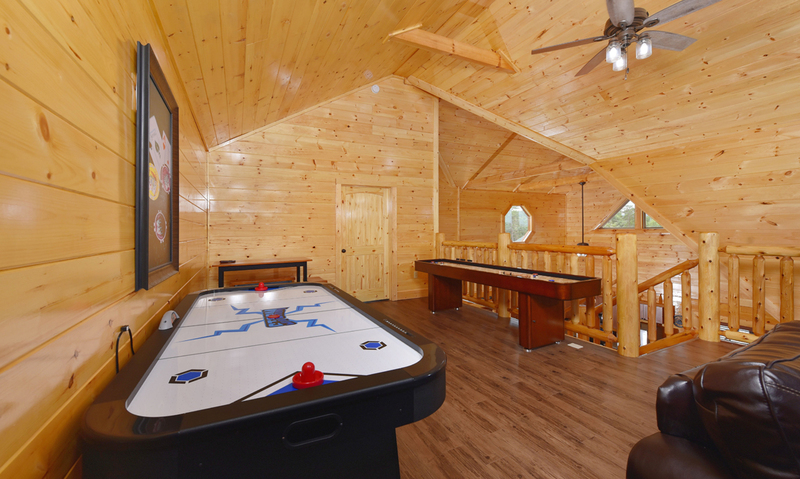 Within the kitchen space at Splash n More, you’ll find the dining area, harboring a large and stylish table for 6+ diners or board-game players. 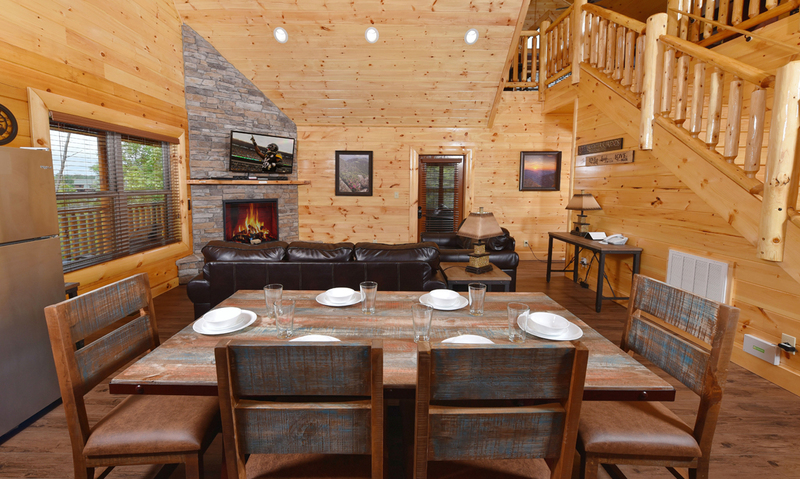 The table boasts 4 cushioned chairs plus a long and comfy bench to match. When everyone’s still snoozing in bed, this is the perfect spot to whip out your computer for a casual browse on social media, down all the coffee from the kitchen, or sketch the newest character for your novel series. 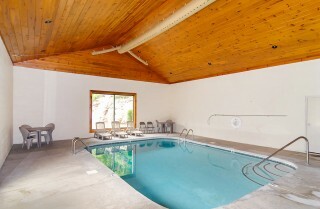 Downstairs lies the exciting indoor pool area, private of course so you can backstroke, splash, and wade whenever you want. No surprise visitors means more pool time for your family and friends! 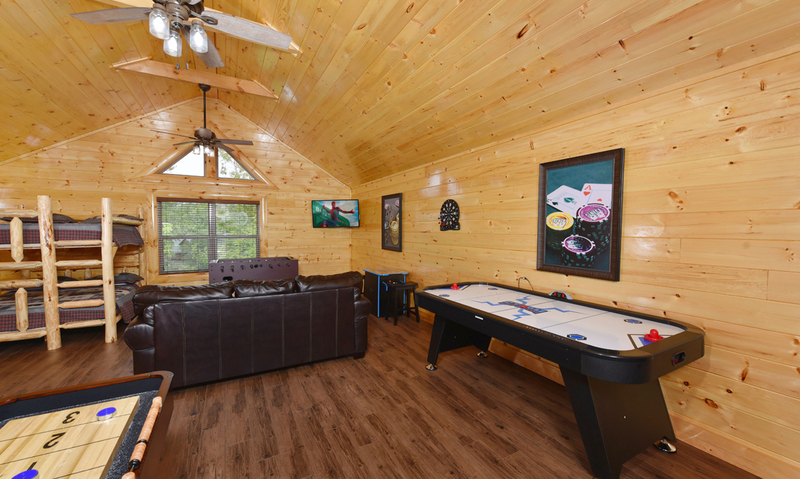 Serene wooded views pour in from the windows at the seating area with a side table, perfect for passing the time with a few drinks while your little ones play Marco Polo and race from one end to the other. In this space, you’ll also find a large towel rack to keep towels nice and dry while you take a dip. 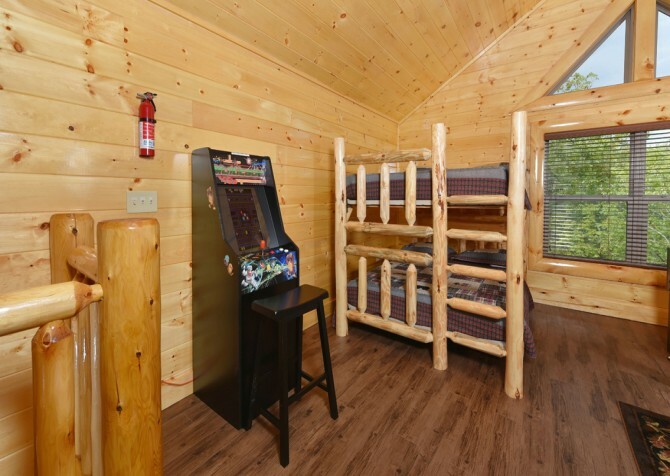 Ready for a gaming battle royale? Venture to the loft for rousing rounds of pool, intense air hockey matches, friendly foosball tournaments, fun games on the arcade units, and relaxed contests on the shuffleboard table. Determined to reclaim your place as gaming champion? Keep playing all night if you wish — there’s even a queen-size bunk bed should you need a break from training. 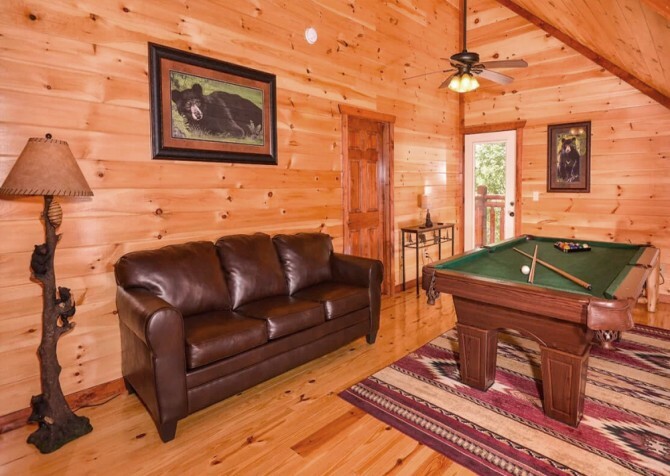 And for those more interested in cheering on their companions, a leather sofa and a mounted flatscreen TV are there to keep you comfortable and entertained. There are also 2 ceiling fans to keep the space super cool throughout the competition. 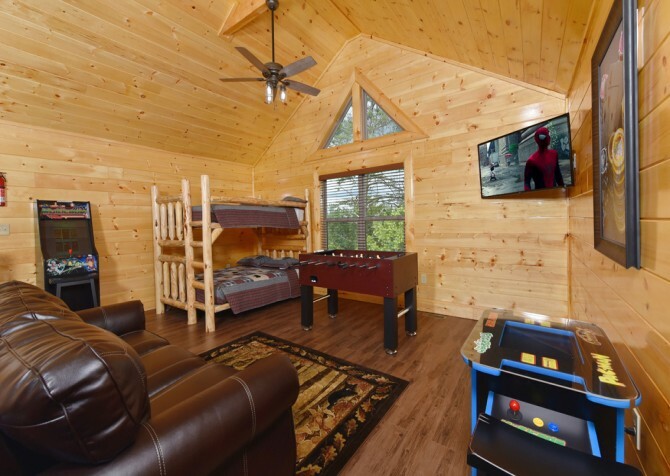 Ah, a relaxing night’s sleep in a king-size bed…just what you need after playing in town, swimming for hours, and challenging everyone in your group to an all-or-nothing gaming championship. Splash n More features 3 bedrooms with contemporary furnishings, including king-size beds, dressers, and nightstands with reading lamps. Each bedroom also boasts a mounted flatscreen TV for nightly entertainment and a ceiling fan to keep the temperature just right. 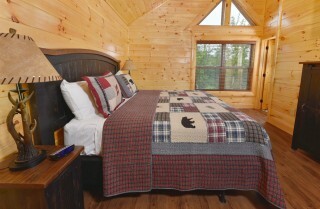 And let’s not forget the loft’s queen bunk bed and the cabin’s sleeper sofa, which brings the max total of guests to 12. 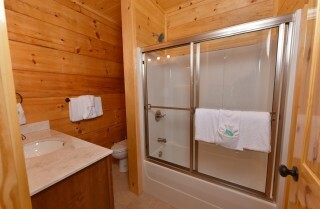 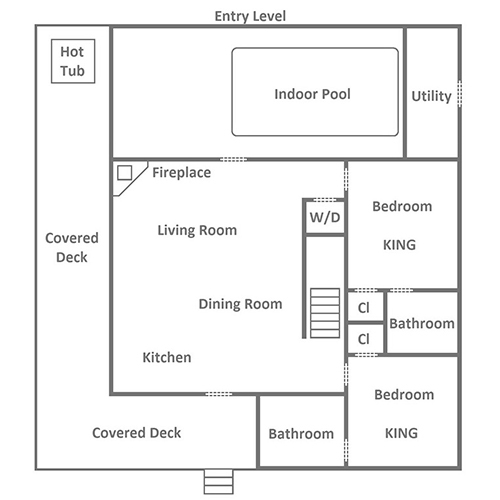 There are also 3 full bathrooms in the home, so everyone can get ready in the mornings with ease. The covered deck at Splash n More is quite lovely to say the least. You’ll find Adirondack chairs in a vibrant blue, a stainless-steel gas grill, classic rocking chairs, and a steamy hot tub — not to mention, a charming mountain view plus woodsy scenery. 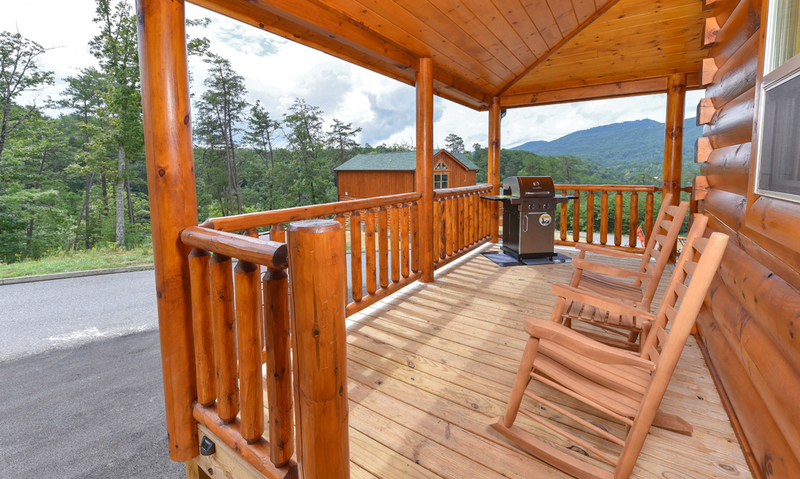 Sit back and relax with a cup of herbal tea in the afternoons, grill steaks and veggies for dinner, rock your worries and cares away, and soak tired muscles after a fun horseback ride through the forest. Worried about parking conditions at the cabin? The driveway is flat and paved with parking for up to 3 vehicles, so you can leave your fears behind! And with only 6 steps to the front porch, unloading and repacking the cars will be a breeze. 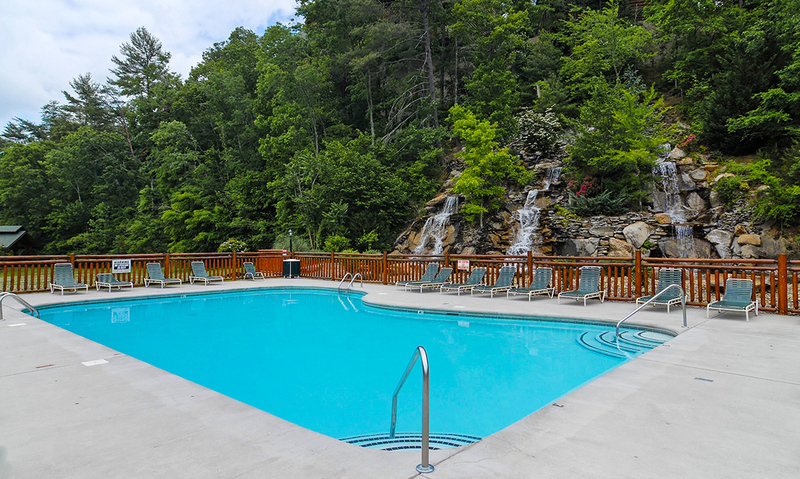 A great bonus when you stay at Splash n More — Bear Creek Crossing Resort offers indoor and outdoor community pool access, and clubhouse amenities, like space for a dance floor plus stereo equipment. 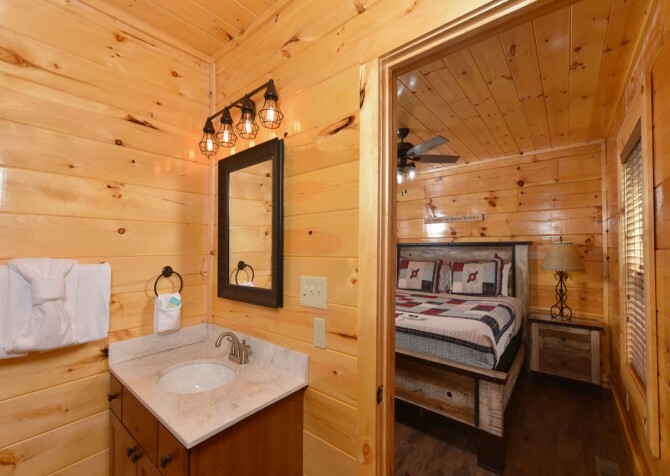 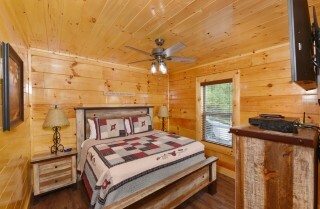 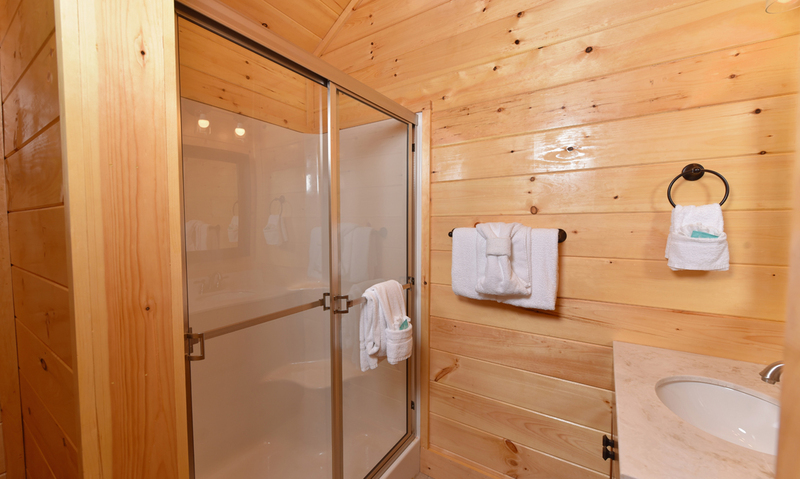 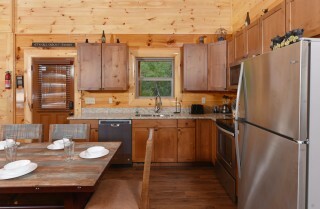 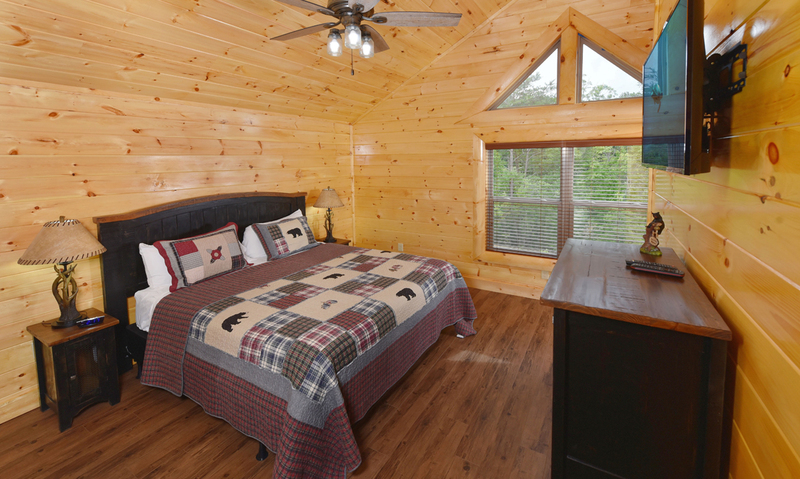 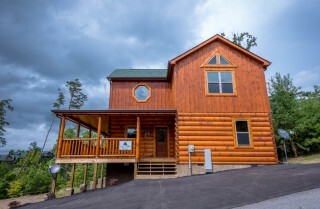 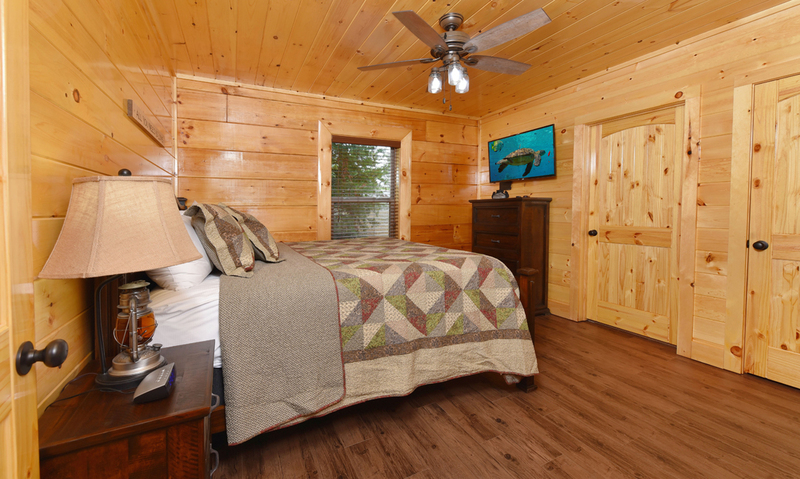 The cabin itself also provides free Wi-Fi to keep up with local events on the Cabins for YOU blog and a washer and dryer to keep clothes and towels fresh throughout your stay. Less than 5 miles to the heart and soul of Pigeon Forge, Splash n More keeps you close to fun attractions, mouthwatering restaurants, and quaint country shops, so get out there and explore! Take photos with famed celebrities, such as Lucille Ball, Michael Jackson, and Sandra Bullock, at the Hollywood Wax Museum. 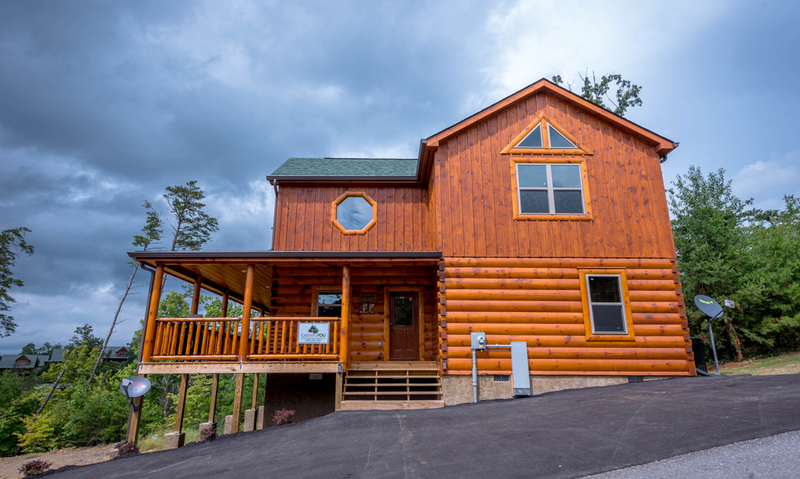 Brilliant comedy, flashy costumes, special effects, choreographed numbers, and more are in store for you at the Country Tonite Theater! 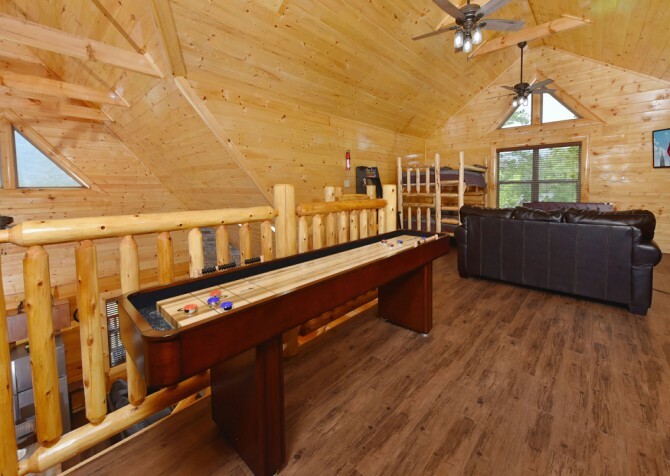 If Christmas is your favorite time of year, then The Incredible Christmas Place, featuring tons of Christmas décor, toys, clothing, and jewelry, is a must-stop shop!